Community involvement and outreach are fundamental aspects of VOX’s musical and social vision. VOX aims to develop and nurture connections with musicians and musical organisations in and around Cape Town. VOX enjoys collaborating with other groups to perform works from the orchestral choral repertoire. In 2015, VOX joined the Symphony Choir of Cape Town for a performance of the Verdi “Requiem” in Jameson Hall at the University of Cape Town. In 2016, VOX sang the Faure “Requiem” with Stadskoor Tygerberg (City of Tygerberg Choir) in the Cape Town City Hall. Last year, VOX performed with Erik Dippenaar and the Camerata Tinta Barocca at the inaugural Cape Town Baroque Festival in a performance entitled “Voices of VOX”. 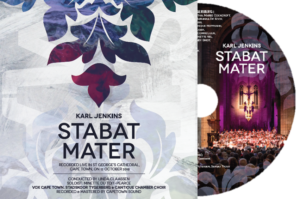 In 2018, VOX will again be joining forces with Camerata Tinta Barocca (“Glorious Baroque”), Stadskoor Tygerberg and the Cantique Chamber Choir (“Stabat Mater” by Karl Jenkins) and the Symphony Choir of Cape Town, the Gentlemen’s Ensemble and the Cape Town Philharmonic Orchestra (Mahler’s Symphony No. 2, “Resurrection”). VOX strives to promote young, local musicians. Guest performers have included Clinton Claasen (piano), Matthew Golesworthy (organ/piano), Ariella Caira (cello), Bronwyn van Wieringen (piano), Dylan Tabisher (percussion) and Cherilee Adams (percussion). VOX’s “Trust the Silences” adventure also featured the vocal talents of Richard Brokensha, lead singer of the South African alternative rock band ISO, thus blurring the boundaries between classical and contemporary music. VOX supports the genesis of new South African choral music and intends to commission new music from local composers on an annual basis. The first of these compositions, “Christmas in Africa”, a setting by Maike Watson of a poem by Margaret Kollmer, was performed as part of VOX’s Festival of Nine Lessons and Carols in December 2017. More recently, Grant McLachlan was commissioned to write a musical setting of a poem entitled “Molweni” by David Parry-Davies for the Eco-Logic Awards 2018. VOX maintains close ties with several prominent churches in Cape Town. These include St Andrew’s Presbyterian Church in Somerset Road, which was also the home of the St George’s Singers, and St Andrew’s Church in Kildare Road, Newlands. VOX celebrates the Festival of Nine Lessons and Carols at these churches every December. Outreach is a crucial component of VOX’s musical activities and we are investigating ways to build relationships with communities that are less readily exposed to choral music. Performances at venues such as Constantia Place Retirement Village and Berghof Retirement Village are an important part of our community work. In order to reach a wide audience beyond our traditional performance domain, VOX enjoys close ties with Fine Music Radio 101.3, a local classical and jazz radio station. FMR plays a valuable role in promoting VOX’s performances and choral music to a wide audience within and around Cape Town. VOX has initiated a training programme for those who exhibit vocal potential and remarkable enthusiasm but have minimal or no choral experience. Once identified, these singers receive one-on-one tuition for several months with vocal specialists from within the group and, when sufficient progress has been made, they are invited to join the group. During this coaching period, prospective singers are expected to work actively on specific goals such as developing good vocal habits and learning key repertoire. Not only does this allow VOX to give back to the musical community by upskilling prospective singers, it also provides VOX with a diverse source of potential singers to ensure the group’s sustainability.